Sauté the onions, garlic, green pepper, chillies, pepper corns and cumin in a pan with oil. 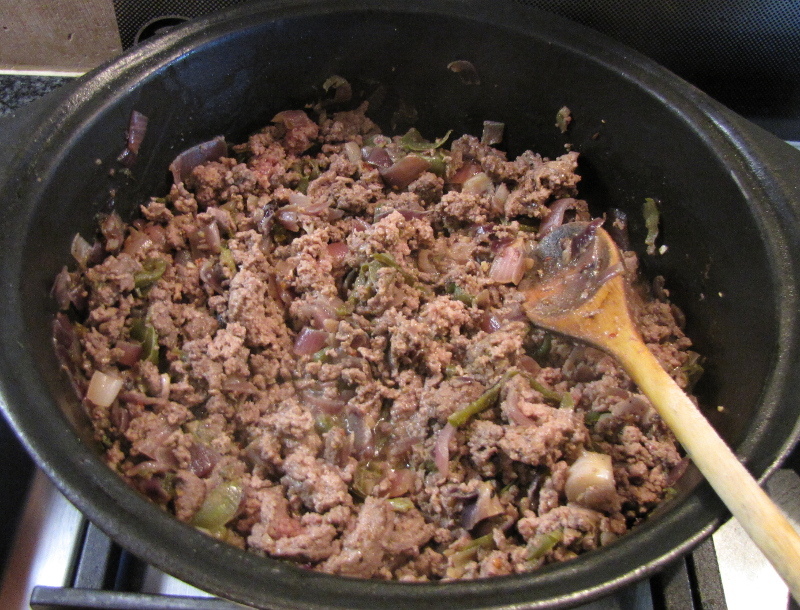 Add the mince and fry until the meat is light brown. Add the tomatoes, puree, beef stock and origanum. Let it simmer for 2 hours over slow heat. 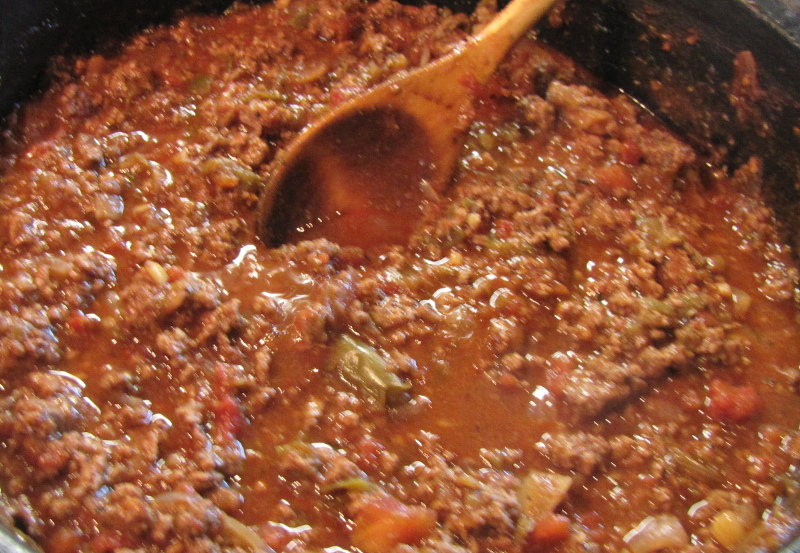 Add the sherry, nutmeg and cloves and let it simmer for another hour at least, stirring every 10 minutes. Mix the semolina, self raising flour and eggs in a bowl. At first it would appear that there is not enough liquid to bind all of this together, but keep on kneading. 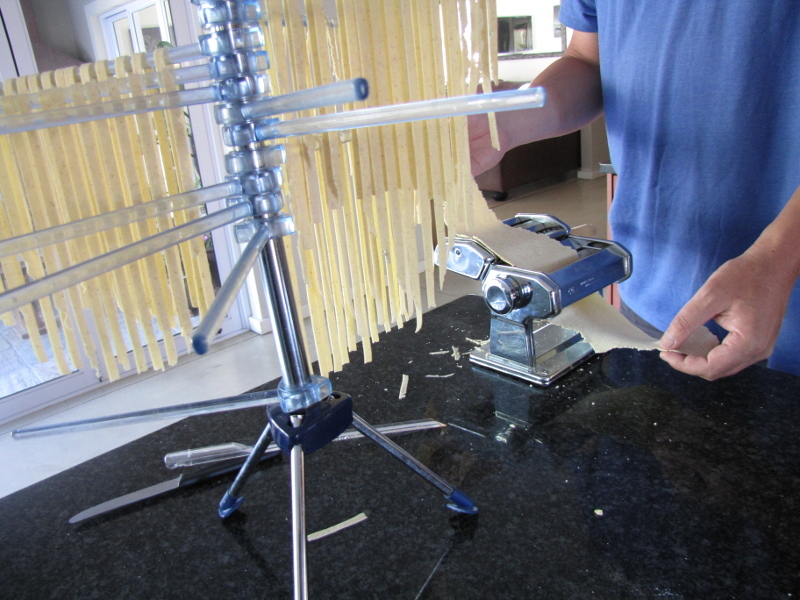 The drier the consistency of the pasta, the better. If it really looks like you need to add some water, just wet your hands under the tap and continue. 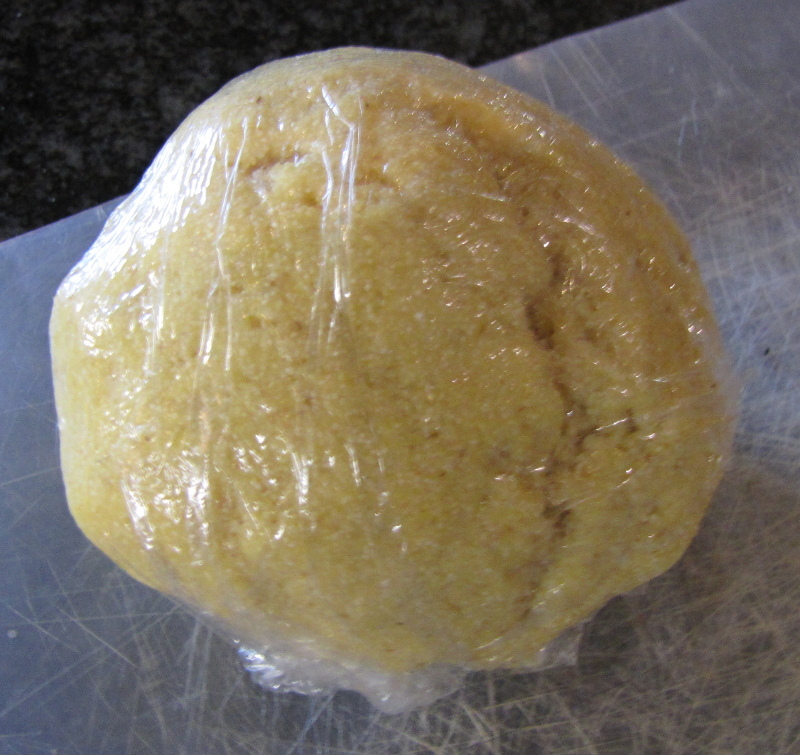 Make a ball of the dough and wrap it in cellophane for at least 4 hours to rest. You can also put it in the fridge if you want to use the dough at a later stage. Make little balls (about golf ball size) of the dough and put it through the pasta maker. This takes some experience and patience, but if you do it often enough, you will get the hang very quickly. 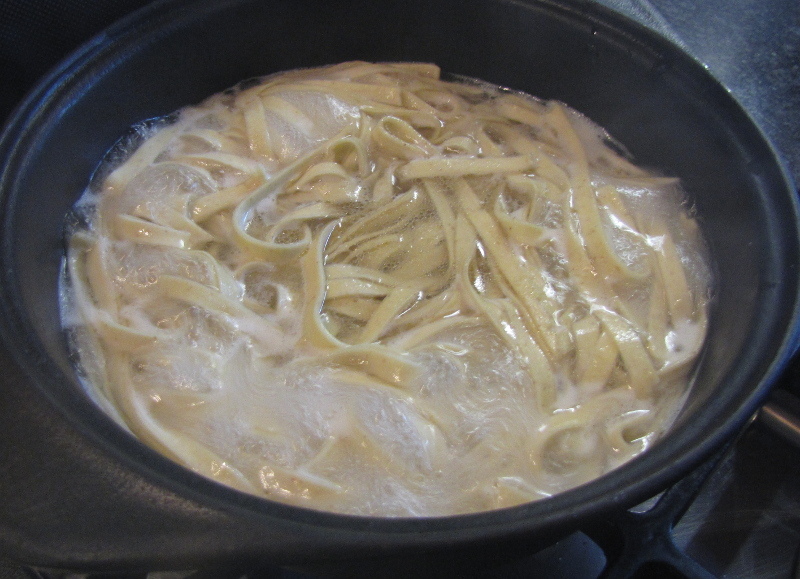 Bring a pot full of water to boil, add a tablespoon of oil and put the pasta in. The pasta should cook for about 8 minutes. Test a piece every now and then and remove it as soon as it is ready. Do not rinse the pasta. 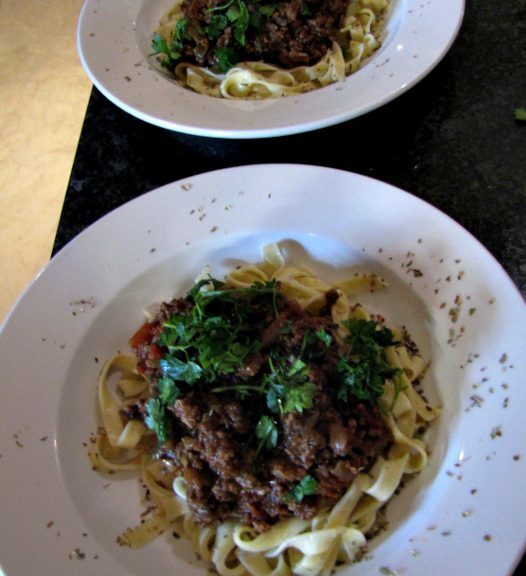 Dish the pasta into a plate and add the bolognese sauce on top. 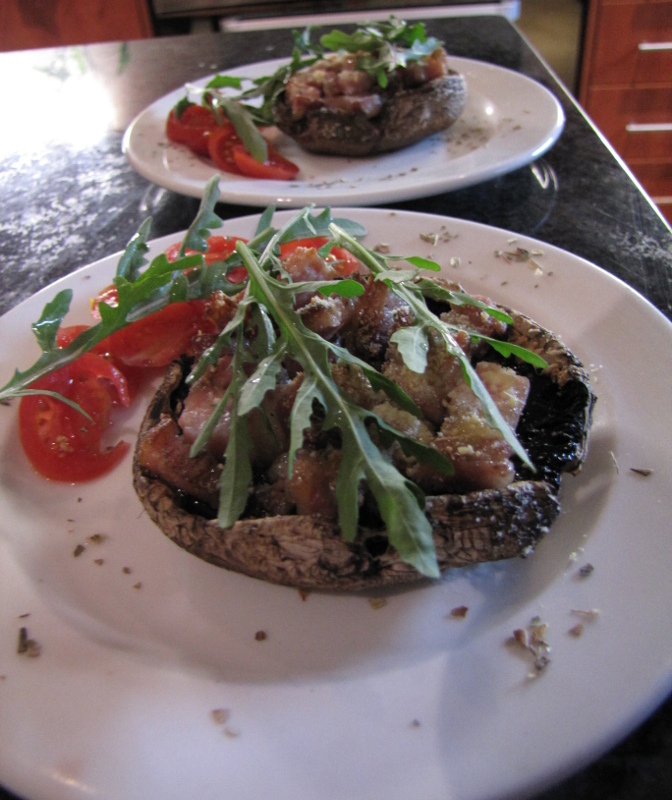 You can add some grated parmesan cheese on top. 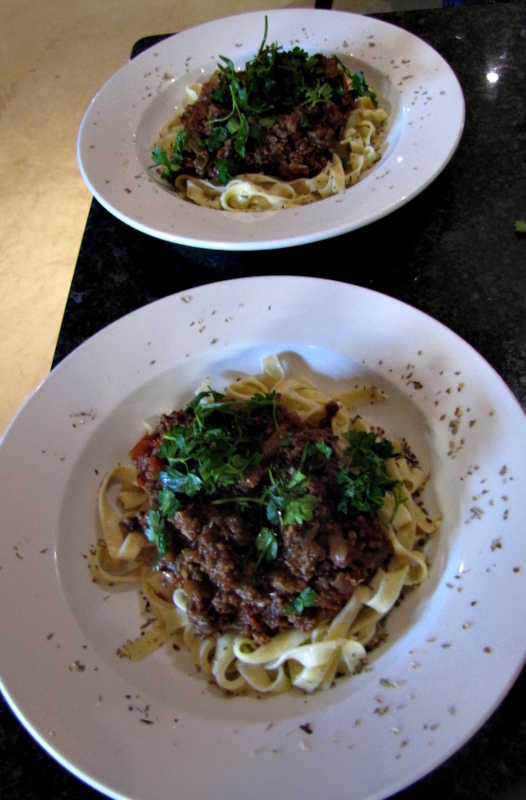 I’ve also added some fresh parsley for garnish. 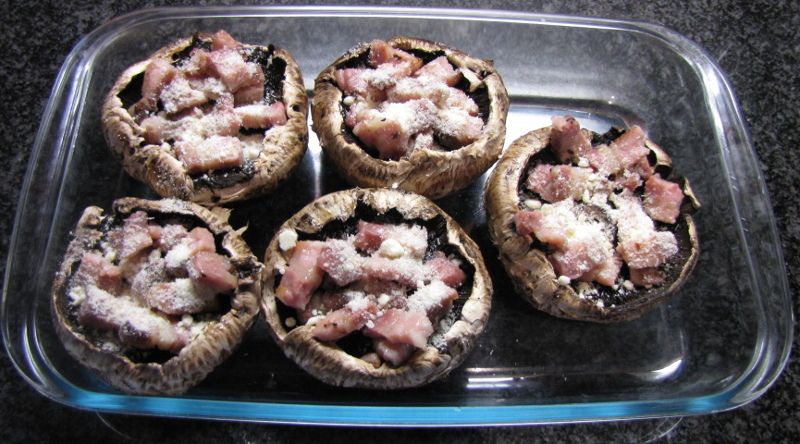 For starters we had some stuffed brown mushrooms filled with homemade bacon and parmesan and then baked in the oven.